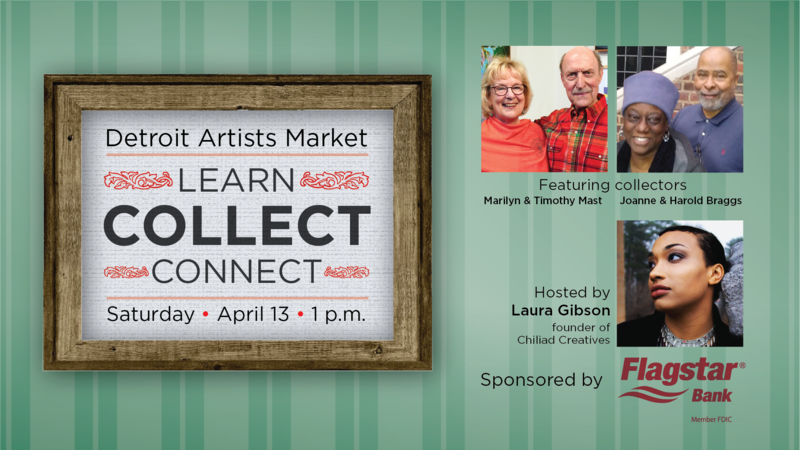 The Detroit Artists Market presents the third installment of Learn, Collect, Connect. Laura Gibson, founder of Chiliad Creatives, talks with Joanne and Harold Braggs, who have developed an expansive collection of African American Art, and Marilyn and Timothy Mast, collectors of Modernist ceramics created primarily by Michigan artists. Join us as we explore domestic art collecting and the personal narratives borne from this practice.